ESA’s Education Office has recently launched the call for applications for two ESA Academy training sessions: the CubeSats Concurrent Engineering Workshop 2019 and the Ladybird Guide to Spacecraft Communications training course 2019, to be held at ESA Academy's Training and Learning Facility in ESEC-Galaxia, Belgium. ESA’s Education Office is looking for 30 talented and motivated university students to participate in the second edition of ESA Academy’s Concurrent Engineering Workshop dedicated to CubeSats, to be held from January 15 to 18, 2019. This four day workshop will introduce student teams to the concurrent design of a CubeSat mission, for which they will be divided in small groups to cover the different subsystems. 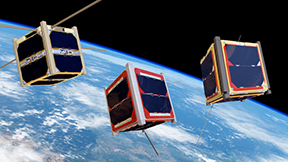 The workshop can help to better prepare those universities that are planning to embark on a CubeSat project or are at the early stages of one. students from future or early phase CubeSat teams. 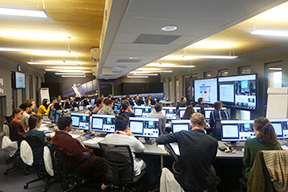 Students in the ESA Academy’s Training and Learning Facility, Photo is courtesy of ESA. ESA's Education Office is looking for 30 highly motivated and enthusiastic university students to participate in the fourth Ladybird Guide to Spacecraft Communications training course, which will be held from February 5 to 8, 2019. The students will be introduced to the fascinating world of spacecraft communications. This training course will be constituted of formal lectures with a heavy emphasis on interactions with the students about the challenges of communicating with a spacecraft and the subsystems involved in communications (both on-board and on the ground): what can go wrong, troubleshooting, and traps to be avoided during operations and testing.